Ah! I’m 36 weeks pregnant and in full labor prep mode! I always do things a little differently at the end of my pregnancy to get my body ready for labor. These pregnancy tips will teach you how to prepare for labor. 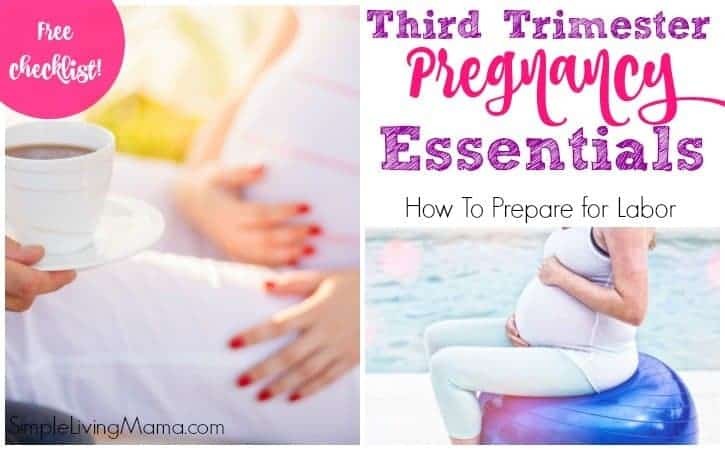 I’ve also got some great third trimester pregnancy essentials and a checklist to help you prepare for your new bundle of joy! I’m going to start with chiropractic care. 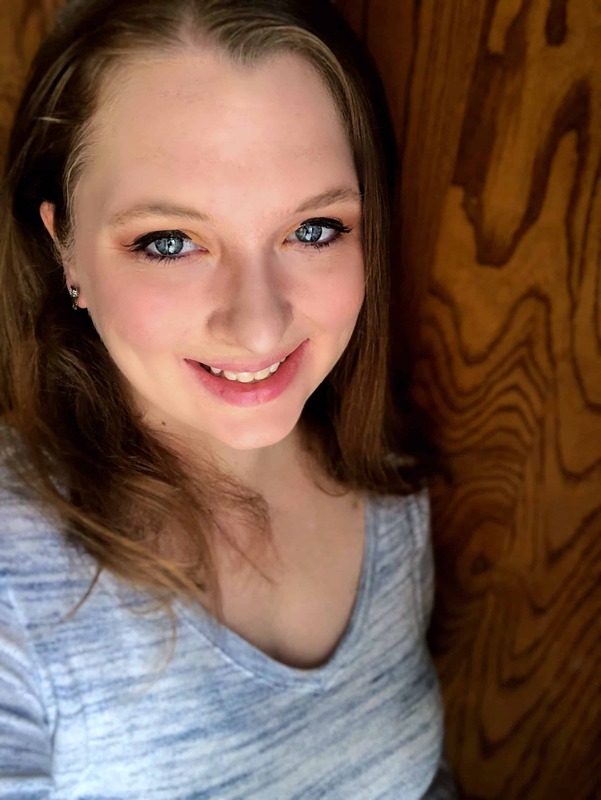 When I was pregnant with my third child, I had severe sacroiliac joint pain. It was so bad I was in tears trying to get out of bed. My obstetrician suggested I see a chiropractor, and he was able to slide my joint back into place and also align the rest of my spine. When I compare my labor and delivery after chiropractic care to my other deliveries, the one with chiropractic care was incredibly easy. I barely had to push to give birth. My labor was shorter and easier. 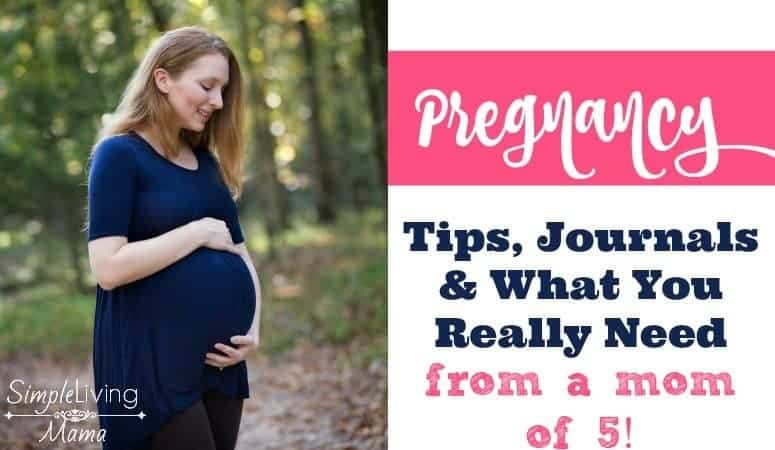 I don’t go on a regular basis, but I do visit when I have SI joint pain and I really believe having everything aligned leads to an easier labor. I highly recommend you get an exercise ball. I start using mine around 36 weeks. Just sitting on it relieves back pain. You can also use it to get your baby in a good position for birth. I like to bounce on my exercise ball as well as do little hula circles to help bring the baby into the right position. Many women use the exercise ball during labor, as well. Red raspberry leaf tea is wonderful for helping tone your uterus and prepare your body for labor. I personally love using this Third Trimester Pregnancy Tea. It contains more than just red raspberry leaf. I really like the peppermint taste. I start drinking it around 36 weeks. I drink about a cup a day and by the very end of my pregnancy up to two cups per day. You can safely consume up to three cups a day during your third trimester. My DIY pregnancy bath salts are ah-mazing! Espom salt is wonderful for relieving sore muscles and giving you a magnesium boost to help prevent those nasty leg cramps. Lavender essential oil is just so relaxing, and definitely my favorite essential oil! We’ve all heard about walking and how good it is for us! Walking is another way to bring your baby down into the birth canal and get him in a good position for birth. A lot of giving birth is getting the baby in the right position. The better his position, the easier the labor and delivery should be. Evening walks are a good way to get your exercise and bring that baby down! Now, let’s chat about other ways you can prepare for your little bundle of joy! 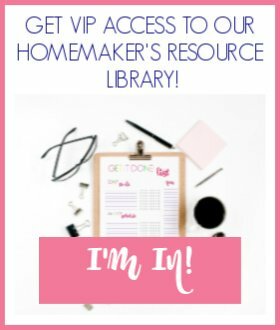 Here’s my list of things to get finished around the house while you are in the third trimester. Do a deep clean of your home – or hire someone else to do it for you! Thank you for the breakdown Joanie, it was really helpful. I didn’t know red raspberry leaf tea was good for pregnancy. Have you tried dates during and after pregnancy? they work wonders (they have sooo much health benefits i.e have intact membranes upon admission to the hospital just as one example). No, I haven’t tried dates. I’ll have to look into that! Insightful post and great information! Even though everyone’s experience is different this was a very informative post.